There is only one road to treatments and a cure for Rett Syndrome and it’s called research. If you are visiting this website because you love a child with Rett Syndrome, you are probably seeking the answer to this question: Will there be a cure for Rett Syndrome and if so, when? 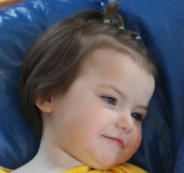 A distinction must be made between treatments for Rett and a cure for Rett. A truly effective treatment should ameliorate or even eliminate a particular symptom or set of symptoms. The array of severe symptoms in Rett Syndrome is so significant that controlling even one or two could dramatically improve a patient’s quality of life. A cure, on the other hand, completely restores an individual to health. Recent data from a variety of labs suggest there may be many ways to improve Rett symptoms pharmacologically – at least in mice. The next few years will continue to bring clinical trials and pilot studies of existing medications and procedures to explore whether, applied individually or perhaps in combination, they can relieve symptoms. While past trials have been informative but largely unsuccessful, as the basic science and research tools advance we should see improvement in managing some of the distressing problems that plague children and adults with Rett Syndrome. A 2011 paper from the lab of Huda Zoghbi suggests that the nature of MECP2 deficits may dictate lifelong administration of treatments found to be effective. A trial treatment currently underway in Boston will be assessing the outcome of daily injections of IGF-1, a growth factor which has been used for many years to increase height in children of unusually small stature, or who lack normal levels of IGF-1. The rationale for using this as a treatment in Rett is a 2009 publication in PNAS. The study noted improvement of certain functions in Rett mouse models in response to IGF-1 administration, although the mice still developed the full range of symptoms and died prematurely. The double-blind trial explores whether significant results will be seen in human subjects, and if so, whether they will be sustained post-treatment. Achieving the kind of cure that we envision for our children will likely require addressing the underlying genetic problem: repairing the MECP2 mutation via some kind of gene correction and/or gene therapy or protein replacement; activating the silent, healthy MECP2 on the inactive X; or finding a way, perhaps through modifier genes, to bypass MECP2 altogether. RSRT is not a traditional grant- making organization. Rather, RSRT is instrumental in identifying the research agenda and assisting in its execution. In fact, the concepts for most of the projects being funded were originated by RSRT and its advisors. RSRT stimulates and accelerates development of both treatments and a cure via intensive, ongoing engagement with individual labs, biotech companies and in-house pharmaceutical research. RSRT closely monitors not only the efforts of scientists working on MECP2 but also the research community at large. This allows RSRT to quickly identify and recruit the interest of scientists doing synergistic work that is relevant to the mission. Thorough due diligence and our extensive and global network of contacts create a deep and active knowledge base that stimulates new work and guides selection of the projects nurtured. RSRT organizes meetings and workshops on an as-needed basis throughout the year. RSRT favors small, invitation-only meetings to promote in-depth discussion and ensure participants of confidentiality, allowing them to share data long before publication, a process that can take years. The success of each meeting is measured in part by how effectively the exchange of ideas, scientific tools and ensuing projects and collaborations move the field forward. Quality, innovation and speed are obviously crucial components to reach the next significant scientific breakthroughs as quickly as possible. Mutations in a gene called MECP2 are the cause of Rett Syndrome. Restoration of adequate levels of MECP2 has been shown to undo the damage caused by a mutated copy of the gene, demonstrating the powerful reach of MECP2‘s influence as symptom after symptom disappeared in fully mature mouse models of Rett Syndrome. This astonishing breakthrough presents us with the urgent challenge of determining whether such results can be achieved in humans. There are two primary approaches to reversing Rett Syndrome. The first is to understand the function of the MeCP2 protein and to design rational drugs to compensate for its deficit. The second approach is to identify the various outcomes of having an MeCP2 deficiency and screen for anything that ameliorates that outcome. RSRT is pursuing both approaches. The following are the projects that RSRT is supporting financially as well as intellectually. To date $7.7 million have been committed to these projects. The MECP2 Consortium is a dynamic collaboration between the laboratories of three distinguished scientists, Adrian Bird, Michael Greenberg and Gail Mandel. Made possible by a $1 million gift by RSRT Trustee Anthony Schoener and his wife Kathy, the Consortium was recently formed to definitively determine how this complex protein, MeCP2, functions and exerts its powerful influence on the human brain. Deep knowledge of its structure and roles in neurological development and maintenance will inform the design of rational treatments for disorders caused by abnormalities in this protein. RSRT will invest $1.8 million in the Consortium in the next three years. Despite almost two decades of research into the molecular mechanisms of MeCP2 function, many questions are yet to be answered conclusively: Is MeCP2 just a methyl-CpG binding protein? Is it a multifunctional protein or primarily a transcriptional repressor? Does it act at specific sites within the genome or more globally? In which cell types is it functionally relevant? The Consortium will tackle these questions through a series of experiments, some of which are described below. MeCP2 is associated with chromosomes and it is vital to have a detailed picture of exactly where it is bound in different cell types and under various conditions. Chromatin immunoprecipitation (ChIP) has been used to map binding sites genome-wide in whole brain. These studies showed that MeCP2 binds globally and tracks DNA methylation. However existing data does not allow detailed mapping of MeCP2 binding at specific loci due to low coverage. The Consortium will generate a high-resolution map of MeCP2 binding in neurons and glia using mice that express a MeCP2-GFP fusion protein. Experiments will be duplicated using GFP fusion mice with MeCP2 mutations in the methyl binding domain to assess the distribution of MeCP2 without the influence of DNA methylation. The Consortium will explore how neuronal stimulation affects the binding profile of MeCP2 in the brain and whether the affinity of MeCP2 for methylated DNA changes upon phosphorylation. Mice who are unable to phosphorylate MeCP2 at specific sites will be used. Furthermore, the relationship between activity-dependent MeCP2 phosphorylation and DNA methylation will be explored. A fundamental question that has received comparatively little attention is how the function of MeCP2 might impact on the cell biology of the nucleus, particularly with respect to nuclear architecture. It is well known that many transcriptional regulators function by interactions with nuclear matrix and associated proteins. This aspect has never been investigated in the context of Rett. The Consortium will determine whether loss of MeCP2 from neurons and glia alters the structure of the nucleus. 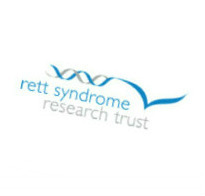 Rett Syndrome is caused by a deficiency of MeCP2 protein. One approach to curing the disorder, therefore, is to restore normal levels. This may be accomplished in a number of ways including small molecule therapeutics (drugs) and/or biologics (gene therapy, protein replacement). Some treatments may prove to be mutation specific (for example, drugs aimed at restoring normal function to an abnormally truncated protein or drugs that reconfigure misfolded proteins) while others will be more global in nature, such as activating the normal MECP2 gene on the silent X chromosome. The following RSRT-funded projects are aimed at increasing levels of MeCP2. 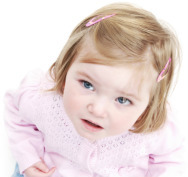 The gene that is mutated in Rett Syndrome, MECP2, is located on the X chromosome. All females have two X chromosomes in every cell but one is inactivated. The goal of this project is to identify drugs/compounds and/or genes that will activate the silent MECP2 on the inactive X chromosome. Dr. Lee will develop an assay using mouse cells that can detect activation of the MECP2 gene. Utilizing the significant resources of The Broad Institute the assay will undergo a high-throughput screen to identify compounds able to turn on expression of the gene. Ben Philpot, Ph.D., Bryan Roth, Ph.D., Mark Zylka, Ph.D. These investigators have successfully employed a high-throughput screen to identify compounds that unsilence the gene for Angelman Syndrome, UBE3A. This project is a pilot study to investigate the use of a fluorescence-based screen (using MeCP2-GFP mice created by Adrian Bird) to identify compounds to unsilence MECP2 on the inactive X chromosome. A synergistic project to the project above this effort is also focused on activating the silent MECP2 gene on the inactive X. Dr. Bartolomei seeks to identify the molecular mechanisms that keep MECP2 silent in the hopes that these modifications can be reversed with drug(s). It is possible that activating the silent MECP2 may require a combination of loosening up the mechanisms that keep this gene silent in concert with activation drugs identified in the above project. Females with Rett Syndrome lack functional MeCP2 in approximately 50% of their neurons while 50% have normal (wildtype) MeCP2. Dr. Zoghbi will explore whether boosting MeCP2 levels in the wildtype cells might enhance the overall neural network activity even in the face of the 50% null cells. Encouraging results could set the foundation for a large scale screen to identify targets that can modulate MeCP2 levels. This knowledge will be critical for Rett Syndrome as well as the MECP2 duplication syndrome. Previous work from the Bird lab suggests that the T158M mutation (the most common mutation) disrupts the natural folding that occurs at this particular amino acid position in the MeCP2 protein. This project seeks to identify small molecules that can counteract the misfolding induced by the MeCP2-T158M mutation. The hope is that restoring proper folding will improve the symptoms of the disorder. Brian Kaspar, Ph.D., Gail Mandel, Ph.D. Since Rett Syndrome is a single gene disorder, gene therapy is potentially a viable approach to treatment. Recently the Kaspar lab has reported that Adeno-Associated Virus, serotype 9 (scAAV9), is able to cross the blood-brain-barrier achieving global distribution in the central nervous system when administered via the bloodstream. This collaborative project between Kaspar, a leading gene therapist, and Gail Mandel, a prominent Rett researcher, will determine the clinical potential of scAAV9 in gene replacement strategies for Rett Syndrome. The Kaspar lab has already been successful in initial trials of SMN gene delivery with scAAV9 for treating a mouse model of Spinal Muscular Atrophy (SMA), completely rescuing the lethal phenotype seen in that disease model. The genetics of the Rett model are ideally suited to investigation of the clinical utility of scAAV9. This project also seeks to develop a gene therapy approach to the treatment of Rett but with a different vector than the project outlined above. The vector used will be the new generation AAVrh10 which has shown remarkable gene expression throughout the central nervous system. The Crystal lab is one of only a few in the world that has conducted gene therapy clinical trials in humans. Complimenting the Crystal expertise at gene therapy and clinical trials is Adrian Bird, who brings his deep knowledge of MeCP2 and the Rett animal models. If gene therapy with AAVrh10 is successful in the mice Crystal’s past experience in clinical trial development will prove invaluable. The array of individual symptoms in Rett Syndrome is so significant that eliminating a single one may, in many cases, dramatically improve quality of life. Finding an FDA approved drug/compound or procedure which ameliorates a symptom (such as disordered breathing, extreme anxiety, seizures) would be the quickest and most cost effective route to clinical trial. The use of DBS has revolutionized the treatment of Parkinson’s and is now also used for depression, OCD, Alzheimer’s and more recently in pediatric disorders such as dystonia and Tourette. The availability of Rett mouse models allows us the opportunity to explore potential benefits of this procedure for Rett. Encouraging data can be quickly moved to the clinic. Recent data generated in the Kipnis lab demonstrates that immune system and T cells, in particular, are required for normal brain function. T cells, working through soluble factors (cytokines), control synaptogenesis, regulate adult neurogenesis, and affect levels of brain derived neurotrophic factor (BDNF). Depletion or malfunction of T cells correlates with reduced synaptogenesis, decreased levels of BDNF, and impaired brain function. Rett syndrome is associated with motor malfunction, reduced neurogenesis, and deficit in BDNF. Studies indicate that some aspects of T cell function are impaired in Rett patients. Therefore, Kipnis hypothesizes that a malfunction in adaptive immune system (T cells, in particular) in Rett patients contributes, at least in part, to some aspects of disease progression. Thus, if T cell function is improved, the disease can be attenuated and some symptoms might be partially ameliorated. As part of addressing the role of immunity in Rett Dr. Kipnis performed bone marrow transplants from healthy mice into mutant Mecp2 male mice. Preliminary data is encouraging. Dr. Kipnis is now performing transplants in female mice as well. Ongoing work will optimize delivery of bone marrow-derived myeloid cells. This project tests FDA approved drugs and compounds of interest in mice models of Rett to identify Hits that improve disease-related signs in the animals. Compounds that alleviate the symptoms or progression of the disease in mice will form the basis of advanced drug discovery programs; approved drugs can be fast-tracked to clinical trials. While many drugs/compounds remain to be tested the screen has already yielded some Hits which are currently being pursued. mGluR5 Signaling – Is it Implicated in Rett? Dr. Bear is a pioneering researcher whose thoughtful insight has dramatically advanced the understanding of Fragile X. His seminal work was featured in Forbes late last year. Like Rett Syndrome, Fragile X is a single gene disorder, but caused by mutations in a gene called Fmr1. When Fmr1 is mutated, protein synthesis fails to shut down leading to an excess. Some years ago Dr. Bear proposed that compounds which can block a certain type of receptor, mGluR5 (which triggers the burst of synaptic protein synthesis) might counteract over-expression of protein and thereby cancel out the damaging effect of Fmr1 deficiency. His theory has proved correct and clinical trials of mGluR5 antagonists are currently ongoing at multiple pharmaceutical companies. Dr. Bear has proposed that just as Fragile X is due to over-synthesis of proteins at the synapse, Rett may be due to under-expression of protein at the same locations. RSRT has committed funding to the Bear lab to first test this hypothesis and if proven correct to explore whether pharmacological manipulations of mGluR signaling will improve any of the mutant mice Rett-like symptoms. The in vivo mouse work will be performed in collaboration with Professor Adrian Bird. Fragile X Syndrome is caused by defects in activity dependent protein synthesis at the synapse. Like Rett Syndrome, Fragile X is a monogenic disorder, but caused by mutations in the Fmr1 gene. As described above Dr. Bear has proposed that just as Fragile X is due to over-synthesis of proteins at the synapse, tuberous sclerosis and Rett may be due to under-expression of protein at the same locations. A speculative hypothesis is that a mouse that is Mecp2-null and Fmr1-null would have no symptoms because the two opposite defects would cancel each other out. If the double mutant mice show a clear improvement of any kind, this would constitute evidence that these three disorders and perhaps other ASDs have related biological origins. It would be easy to imagine ways of using pharmacological agents to further test proof of concept. The Zoghbi lab identified MECP2 mutations as the cause of Rett Syndrome in 1999 and has been very active in the field since. This project is a thorough evaluation of specific drugs which will be tested in the various mouse models of MECP2 disorders: the knockout, the truncated MECP2 and the MECP2 over-expressing mouse lines. Instead of completely lacking the MECP2 gene as in the knockout mouse, the truncated MECP2 mouse expresses the first portion of the MECP2 protein. These animals have milder deficits with a much slower disease progression, and are therefore a model of milder forms of Rett Syndrome. Interestingly, too much MECP2 also causes a severe neurological disease, called MECP2 duplication syndrome. The MECP2 over-expressing mouse carries multiple copies of the MECP2 gene and is a relevant model of MECP2 duplication syndrome in humans. The goal is to speed any promising drugs/compounds to the clinic. Recent research has revealed that a defect in a gene called MECP2, which encodes a protein that regulates expression of other genes, causes Rett Syndrome. The discovery of MECP2 mutations as the overwhelming cause of Rett enabled a new era of cellular and molecular analysis, and understanding of the mechanisms of Rett Syndrome. A next important research goal will be to find the specific target genes and molecular pathways that MeCP2 regulates in individual affected nerve cells, because MeCP2 normally regulates its target genes during development and function of the nervous system and abnormal expression of target genes directly or indirectly causes Rett Syndrome. In our previous studies, we identified a number of potential “target” genes of MeCP2 in these important cortical neurons. One of the over-expressed genes is Irak1, a component of the NFkB signaling pathway. We propose to investigate the therapeutic potential of one known inhibitor of NFkB signaling, Vitamin D , in Mecp2 mutant mice. Our proposed experiments will not only add to our understanding of molecular and pathological mechanisms of Rett syndrome, but will also potentially contribute to future therapeutic strategies via Vitamin D or alternative NFkB pathway drugs. In ongoing experiments we find that the serotonin 1a agonist sarizotan effectively reduces apnea and corrects irregularity in Mecp2 deficient female mice. Sarizotan is a phase II drug that has been evaluated in clinical trials to treat L-dopa induced dyskinesia in Parkinson’s disease. F15599 is a serotonin 1a agonist shown to be effective in rodent models of depression and cognition. It is an attractive candidate that may correct respiratory disorders without affecting locomotion in Rett mice. This experiment leverages the discovery that MeCP2 deficient olfactory receptor neurons (ORN) have a very robust readout; they co-express molecules that are never expressed in the same neuron in wild type mice. Dr. Lomvardas will capitalize on this finding to screen for drugs that can reverse the deficit – in other words find drugs, using high throughput screens (HTS) that can turn off one of ectopically expressed molecular markers. The development of interventions aimed at genes that MECP2 controls is yet another potential avenue. Recent data, however, suggests that MECP2 may control thousands of genes. Furthermore, these genes may vary considerably depending on the tissue type. It will therefore be extremely challenging to develop treatments if thousands of genes need to be targeted. Nevertheless identifying these genes is the focus of a number of labs and progress in this area may reveal genes worth pursuing. A very interesting route to consider is that of MECP2 modifier genes. It is likely that differences in the genetic make-up of an individual can modulate the impact of an MECP2 mutation. There are individuals who have common MECP2 mutations and normal X chromosome inactivation but who do not have Rett Syndrome. It is likely that these individuals are protected from their MECP2 mutation due to mutation(s) in other genes. Identifying these modifier genes could open up new avenues for treatment. An emerging field of interest is that of genetic modifiers that impact the severity of disease. Rett Syndrome is ideal for modifier screening for two reasons: a) it has been shown to be reversible in mice and b) some girls do not have Rett symptoms despite having common mutations in MECP2. This project aims to identify these advantageous modifiers using a forward genetic screen in mice. The knowledge of disease amelioration may provide novel avenues for therapeutic intervention. In a preliminary screen, five lines that carry inherited suppressors, which increase lifespan and decrease other RTT-related symptoms in mice, have been identified. As expected, most of the suppressors act at the level of chromatin remodeling, and may be difficult to target therapeutically. However, one reveals a “systems” component to disease pathology, and may provide a new target for therapeutics.